LET'S TAKE THE ROAD LESS TRAVELED TOGETHER! Eleven lords a'leaping, readers! It's that time again, time for mistletoe and holly, and Susanna Hill's 2018 Holiday Writing Contest. This year writers are to craft a holiday story for children 12 and under about a holiday hero. Our hero's act of heroism can be on a grand scale or a small one, BUT it can only be 250 word or less. So cuddle up with a cup of cocoa and a chuckle or two. I hope my story leaps into your funny bone today as it features the most unknown of super heroes...THE FLYING SQUIRREL! Super Squirrels to the Rescue!!!! Hurricane-strength winds, ice thick as windowpanes, a real Snow-ageddon pummeled Santa’s reindeer. The pack shivered – not with anticipation but with fear of flying. Nothing interested them – not reindeer games, not even SUPER LICHEN, a treat that stoked their bellies for liftoff. Grounded reindeer. Ho-ho-NO. Santa paced, pulled his beard, and peered. What to his wondering eyes did appear— flying squirrels in flight gear! Super Squirrels vowed to get them upright. Comet and Cupid and all the rest perched on tree branches to learn from the best. Reindeer spread antlers, sensed the wind. Puffed fur like squirrels, headed airborne again. They pawed, pranced, and rose to the roof. BAM! BOOM! CRASH! A soupy fog caused a great crash. Holly and Berry to the rescue once more fitted them with night vision goggles so they could explore. 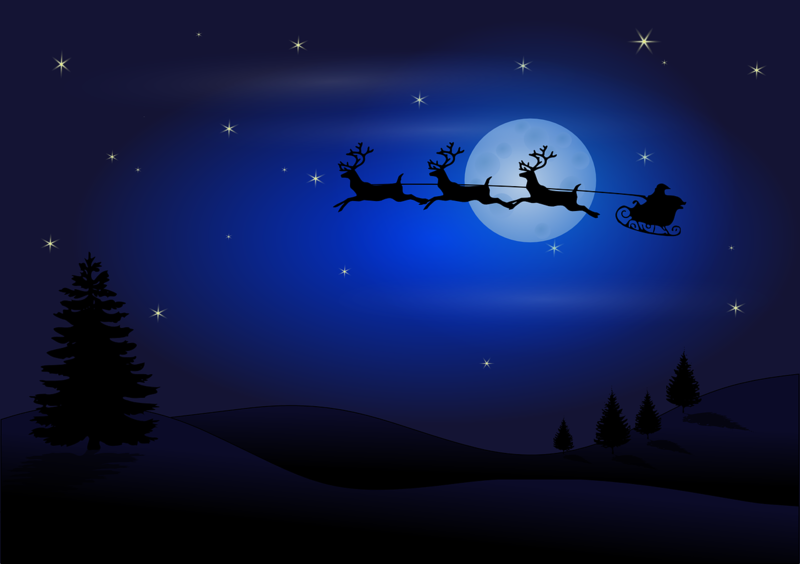 Gliding by moonlight, super squirrels at the lead, over trees the herd sped with Santa and sled. In the nick of time, to the four corners of Earth they spread Christmas cheer. Now reindeer all snuggle, safe in their beds while visions of super squirrels fly in their heads. Merry Christmas to all and to all a good flight! What fun, Kathy! Ho-ho-no had me laughing out loud! And I always knew the reindeer needed help - now I know who the true heroes were! Patricia, TY so much for reading my entry and supporting me. Writer friends are the BEST. Clever. And I like the way you worked in the rhyme aspect. TY, Sherri. YOU are a masterful rhymer, so I really appreciate this. TY for reading and commenting. Such a fun story of dashing heroism and sporty goggles! And very creative to introduce flying squirrels to Santa's reindeer! Mishka, I read yours earlier today. Glad you enjoyed it. Very cute! Those squirrels took control and saved the day! Good to reconnect with you. Judy. TY. Fun story, and I don't even like squirrels! Good luck with the contest! Good of ryou. 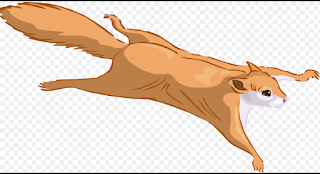 Flying squirrels are amazing. Super Squirrels! I love them! So glad they are fearless and happen to have flight gear for frigid nights. 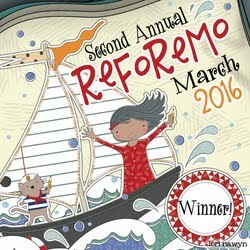 Fun story - and thanks for reminders about the story contest. Sue, we are in this together. Glad you go your post up. To us GROGgers. I love the squirrels, Kathy! This is a story packed with holiday action. Best of luck and thanks for sharing! TY, Kate. I love all kinds of squirrels. Happy Holidays from Holly, Berry, and me. Super squirrels to the rescue! Best of luck to you Kathy! Kari, thank you for reading gnawing stopping by my blog. "Ho-ho-NO" hahaha that cracked me up! Such a fun idea. Good luck! Always happy to have a reader laugh. Merry Christmas from Holly, Berry, and me. What fun, Kathy! And Holly and Berry...that is too cute! Flying Squirrels to the rescue in this action-packed story! Thank you, Vivian. Glad you caught my word play! What a great story! Maybe it sparks an idea in me - let's see - I have ~34 hours left - right? TY, Virginia. Try it -it's a great u elf your writing chops. That was a fun story. Good luck! TY for reading and commenting, Gregory! Love it! HO HO NO! Delightfully fun to read aloud Kathy! Your super hero squirrels rock! Thank you of reading my story. I am glad you enjoyed it. May you have a great holiday, Lynne Marie. TY for reading my story. Comments mean so much. Kathy-love this story of fur, flight, and fun! Reeling with the feeling of Santa's big night! Good Luck! Aw, Charlotte. Glad you are about on social media today. Missing you BIGLY. Thank you for the support. Hugs. TY so much of rereading and replying, Candice. This makes me happy. Squirrels to the rescue! I had visions of Rocky and Bullwinkle! Next you'll add a flying moose. Good luck! Nancy, i was channeling my inner Rocky and Bullwinkle. We grew up w/the best cartoons, right? Holly, Berry and I thank you for supporting us and reading our story. Wishing you all tings merry and bright. That's how the reindeer learned to fly? It all makes sense now!! Wow, Kathy! What a fun, action-packed super hero story! Love the names Holly and Berry, and love that flying squirrels are the ones to rescue the reindeer and get them in gear! What would Santa have done without the squirrels? (Now there's a sentence you don't hear every day! :) ) Thanks for joining in the Holiday fun! Susanna, your challenges always get me thinking. Ty for your support of al writers, published or not. It's a bird, it's a plane, no . . . it's super squirrels. I can just see the capes. Ha- wouldn't that be fun? Ty for reading and commenitng. That makes us writers happy. Kathy Halsey • Children's Writer/Educator/Speaker Kathy Halsey began writing in fifth grade and hasn’t stopped yet. This former English teacher/school librarian did not miss a school dance for the first seven years of her career, and that disco beat is still, unfortunately, stuck in her ears. Kathy writes for children and adults smart enough to know kid lit is literature at its best. She writes humorous picture books and nonfiction biographies. Kathy lives in Columbus OH with her husband Bob and silly Corgi, Wiley.